The MaCO: if New York has its MOMA, Shanghai its MOCA, Sète in all modesty has its open-air Museum. We applaud enthusiastically the initiative launched in 2008 by the street-art festival K-LIVE. Every year, the festival’s star artist leaves a work on the town’s walls. Do a tour around the works of famous street art artists: C215, PHILIPPE BAUDELOCQUE, ROMAIN FROQUET, ALËXONE, MAYE, L’ATLAS, POCH, M.CHAT, EPSYLON POINT, JAN KALAB, CLET, BAULT, STEW, CHANOIR, JONNYSTYLE, PABLITO ZAGO, CLAIRE STREETART, SPOGO, JULIEN SETH MALLAND, KASHINK, MONSIEUR QUI, GODDOG, PEDRO & KAZ, LES MONKEY BIRD, SATONE, CODEX URBANUS, MADEMOISELLE MAURICE, RELLE, SUNRA, QUENTIN DMR, LEVALET... Open your eyes! 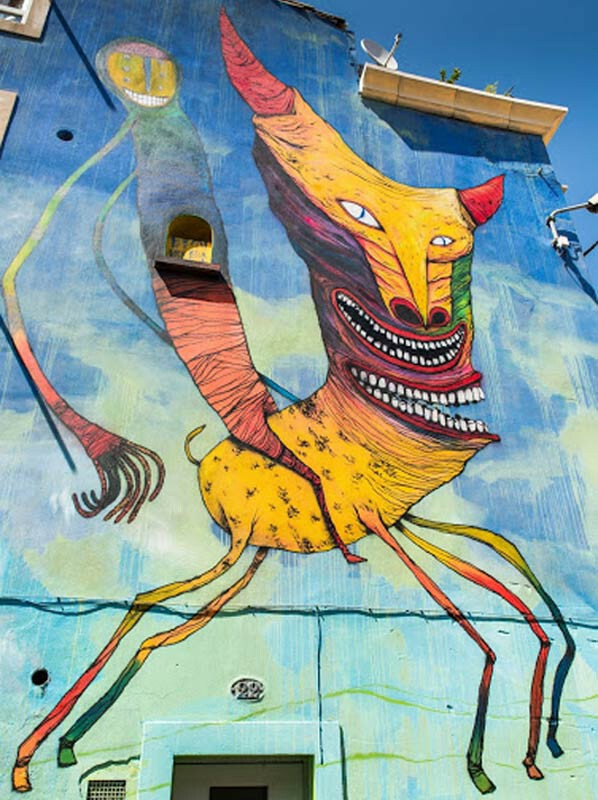 By making their mark on abandoned buildings and the town’s walls, they have enriched the Musée à Ciel Ouvert (Sète’s MaCO), creating an artistic and picturesque journey around the docks, along the canals and through the narrow streets typical of the "Quartier Haut" district. An open-air museum fit for a city gallery! Website "MUSEE A CIEL OUVERT (MACO)"